Turn a small houseplant into an accent piece with the Small Skittle Hanging Plant Pot in White! 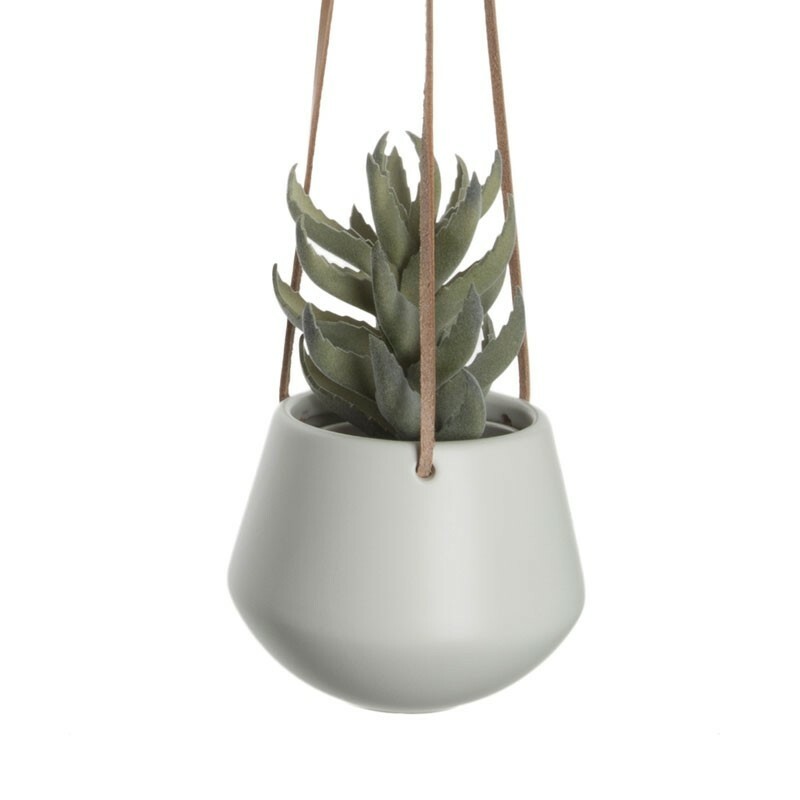 Brought to you by Present Time, this Scandinavian style hanging pot features a whimsical skittle pin outline with a tapered top, a rounded bottom, and a perforated rim. Only 12.2 x 9.5 cm in size and held up by a three-leg leather cord about 66 cm in length, this small pot is designed for a contemporary setting where space is at a premium. Practical and versatile, these low-maintenance pots can be displayed in the kitchen, in the hall, on the patio, on the balcony or even on the stairwell. Available in a range of shapes and sizes, the Skittle loves company, so don't hesitate to hang up all your succulents and small trailing plants with your colourful collection of plant pots. See the other colours and sizes in the range on the right! really good quality, I was surprised by the quality for the price, I would like to order more, for the price this is a bargain!